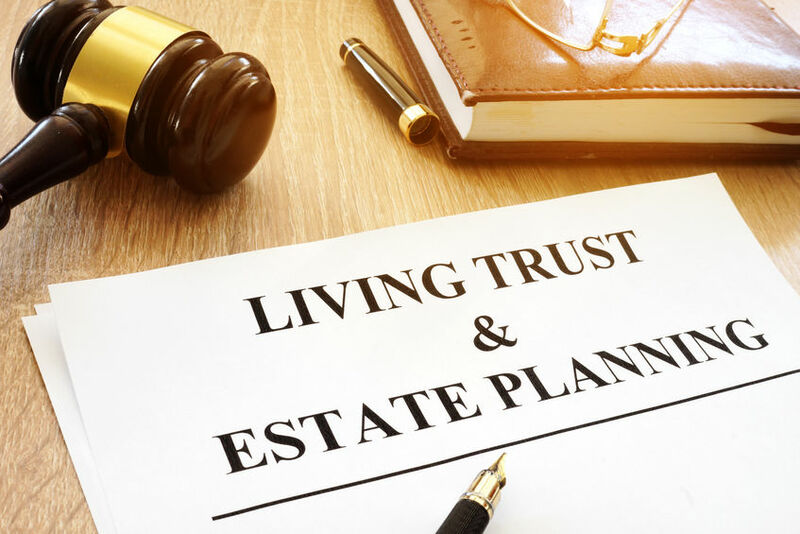 Revocable living trusts are popular estate planning tools. A revocable living trust is a trust that you set up during your lifetime, to which you transfer most or all of your assets. You get the income from the trust, and also have the right to withdraw principal. You can revoke or cancel the trust at any time during your life. At your death, the trust becomes irrevocable and its income and assets are disposed of under terms specified by you in the trust agreement, for example, in a trust for your spouse and/or children. Joint trusts can also be an option for married couples under some situations. When I first meet with a client, we go through important issues like a choice of successor trustee, and how old beneficiaries will be when they receive assets from the trust. I hope that when my clients leave my office, they are comfortable with the estate plan we prepared, and that their estate plan is perfectly tailored to their needs. Despite careful planning, sometimes trusts do go off the rails. This usually happens in three ways, but professionals can help trusts stay on track. Choosing the wrong trustee: Typically the grantor of the trust serves as the sole trustee. Trusts should name one or more successors in the event the original trustee or trustees are unable to serve. Clients need to revisit this issue. When working with clients, I ask a lot of questions, like do you still want this person to be a successor trustee? When? If you become incapacitated or die, do you want your beneficiaries to have the right to remove/replace the trustee with someone else? This can avoid issues if there are communication problems or disagreements with the trustee. On the other hand, you may want to limit this to some extent to make sure beneficiaries aren’t just looking for a trustee to do whatever they say. Leaving a trust unfunded: I can draft a wonderful estate plan for you, but your children will still have to go through probate court if you leave your trust unfunded. It is our practice to prepare the real estate deed transferring your property to the trust, or we prepare a beneficiary deed naming the trust as beneficiary. We also will work with you to transfer bank accounts, brokerage accounts, cars, boats, and any other assets that you own into your trust. With regards to retirement accounts, make sure to discuss who the beneficiaries are of their retirement accounts, and make sure those beneficiaries jive up with the beneficiaries of the estate plan, or consider naming the trust as the beneficiary of the retirement account. Not properly drafting general powers of appointment: Most trusts give a surviving spouse either a limited or general power of appointment over trust assets. General powers of appointment are becoming increasingly favored because they allow for a second step up in basis upon the death of the surviving spouse. In addition, general powers of appointment allow for flexibility to respond to changes in family circumstances. However, general powers of appointment can be fraught with worry for some clients, especially in second marriage situations and where a spouse is concerned about the remarriage of their spouse. In a second marriage situation, a second wife could use her general power of appointment to give everything to her children and not to her husband’s children. In the first marriage situation, if the surviving spouse remarries, she could direct all of the property go to her new husband. In order to preserve the step up in basis on the death of the second spouse and maintain some level of control over the disposition, the general power of appointment can be drafted so that the power of appointment can only be directed to descendants and the creditors of the spouse’s estate.